Oh look! Isn’t that adorable? Don’t you just want to hug it and kiss it and love it forever? That was a Tiny Toon reference by the way. Don’t worry, I wasn’t expecting anybody to get it. Anyway, I actually think this poster is too adorable and cute, to be honest. Look at all the round surfaces! At all the shiny blue colors! At Wall-E waving! Now contrast this to the previous poster which was basically just our very much not round pal all by himself looking a little sad, or at least wistful. That was a great poster. This new poster, I don’t know, it’s like they made it for kids or something. It will definitely not play well with the more serious art-house crowd. On a somewhat more serious note, I’m starting to see how they might actually get a broad audience to go see this. The sheer appeal of “It’s Pixar” was always going to be enough to get a decent number of butts on the seats, but the previous materials just seemed too gloomy to really make this the type of smash hit we are used to get from Pixar. 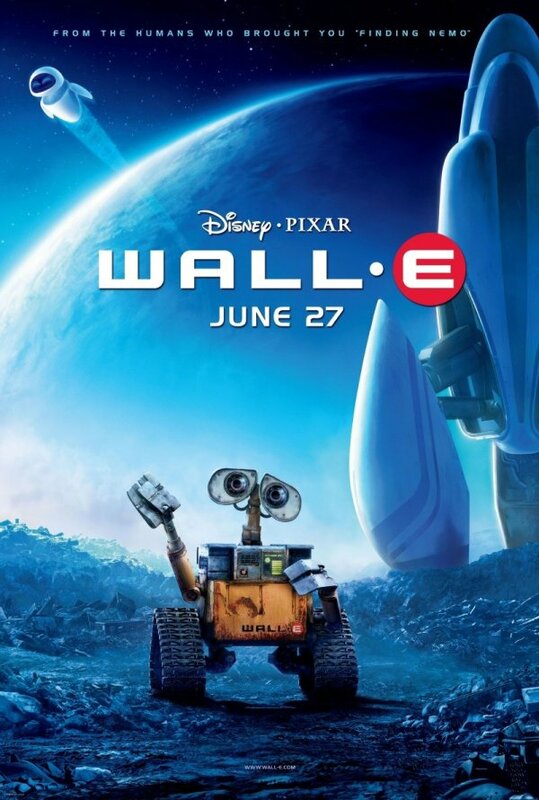 But here we start to see what the world looks like beyond Wall-E’s initial little lonely corner, and this brings a lot more warmth than we had seen before. It’s still very different from what we are used to seeing from U.S. animation, even from the Pixar films. But it feels more like a huge blockbuster now. Man, I can’t wait to see this. And yet, I dread it because it couldn’t possibly be as good as I’m hoping. Nice i was looking for this!